Smart kids tend to love the esoteric, and nothing quite fulfills this tendency better than an obscure academic t-shirt design. The best-known model of this fashion(?) is perhaps the character Sheldon on the TV series The Big Bang Theory. He is rarely seen on the show in anything other than a t-shirt. Sheldon’s shirts feature designs ranging from a periodic tables to the double helix model of DNA. He also sports designs from various comic book super heroes (Superman, The Flash, The Green Lantern) or obscure internet video series (TableTop, The Guild). When I was teaching I used to receive a small catalog called the Journal of Academic T-Shirts. It was filled with all sorts of designs from music, history and science. It was always a hit when I passed it around in my science classes, and I occasionally ordered something for myself. 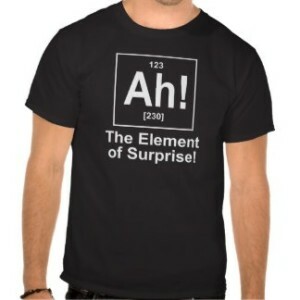 When it comes to geek chic, the more obscure the better, as just about anyone can come up with a Periodic Table shirt. But, where can you or the ChemClub students buy such products? Here are a few ideas. Zazzle has a number of cool shirts on a page titled, “Chemistry Geek Gifts” , from ‘Never Forget’ (the Sliderule) to Maxwell’s Equation. There is also a shirt for ‘the element of surprise’ which features Ah! 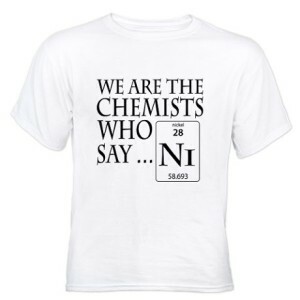 In the format of a chemical element. The Think Geek site has a number of shirts and other novelty items, including a Periodic Table shower curtain and a Rutherford-Bohr model atom necklace pendant. Shirt Woot! has a number of Schodinger’s Cat based shirts and tons of other esoterica. And finally, perhaps the best site of all, Café Press, which listed 288,000 results for a search on ‘science gifts.’ My favorite was one that said “Correlation ≠Causation”. Truer words have never been, well, spoken. ACS recently announced the release of two new videos they hope you will find perfect for sharing with your students or other teachers. One celebrates the contributions of African-American chemists and the other gives little-known chemistry solutions to everyday problems. Chemistry Life Hacks: One part Mendeleev, one part MacGyver, this video shows how to brew the perfect cup of coffee, clean stubborn skillets, and solve other dilemmas. Click “subscribe” and you’ll have a new episode of the award-winning video series Reactions (formerly Bytesize Science) to share with students each week. Five Black Chemists Who Changed the World: Features contributions of Percy Julian, Mae Jemison and three other notable African American chemists. It was co-produced for Black History Month by ACS and the National Organization for the Professional Advancement of Black Chemists and Chemical Engineers (NOBCChE). Another great resource is the 2014 Flame Challenge, inspired by Alan Alda and co-sponsored by ACS. The Flame Challenge dares scientists to answer a fundamental question about the world around us in a way that 11-year-olds can understand. This year’s question was “What is color?” Entries—written or video—were screened for accuracy by scientists and judged by a panel of youngsters. The contest for 2014 closed at the beginning of March, but if you click on the Flame Challenge link above it takes you to the ACS site to see examples of some of the winning entries. The videos could be used directly with your class, with younger students or as an inspiration for videos your students may want to create. Stay tuned for the results of the 2014 Flame Challenge winners. Imagine being one of 14 teenagers in the country to be selected to help design a website that presents scientific concepts to other kids their age. This is exactly what happened when Ashwin Datta, a freshman at Glencoe High School in Hillsboro, Oregon won the opportunity to help design the website named Sparticl, developed by the Twin Cities Public Television (St, Paul, MN) with funding from the 3M company. Richard Hudson is the director of science production at PBS stations in the Minneapolis area. Hudson said his team developed Sparticl, which launched in 2013, because when students search the Web for science topics that interest them, they are often immediately confronted with dense and technical pages, too complex for them to understand. 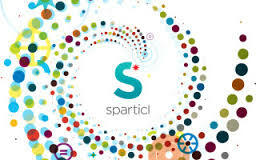 Sparticl, he said, gives students a one-stop resource for quality science materials appropriate for the age level. Ashwin has a considerable list of accomplishments under his belt, despite his young age. He is currently trying to get a patent for his invention of a special set of Christmas lights he built. The lights only need to be installed once, and then a remote control can change their color to match the various celebrations during the year. Ashwin also likes to design computer games, golf, play the piano and ski at Mount Hood. He’s also taking flying lessons. Sparticl is a great site for ACS ChemClub members. It delivers science, technology, engineering, and math (STEM) on the web. A team of experts hand-selected videos, games, hands-on activities, and articles that are age-appropriate, accurate, safe, and engaging. And best of all, teenagers like Ashwin were part of developing it all! Are you looking for sources of activities to use with your ACS ChemClub? 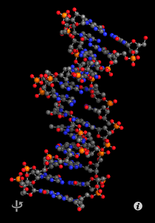 Science NetLinks is a premier K-12 science education resource produced by the American Association for the Advancement of Science. At Science NetLinks, you’ll find teaching tools, interactives, podcasts, and hands-on activities, and all of it is free! All of the resources are Internet based, so the lessons and activities can be printed or used online. 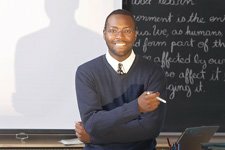 Many of the interactives, worksheets, and tools work great on an interactive white board or in a computer lab. All of the resources are designed to be delivered in a variety of formats and classroom settings. Science NetLinks presents standards-based lesson plans that incorporate reviewed Internet resources, and can be selected according to specific learning goals and grade ranges. Each lesson is tied to at least one learning goal and uses research-based instructional strategies that support student learning. The lessons are written for the teacher, but include student-ready materials such as worksheets, or online worksheets that enable students to engage directly in Internet activities. The content covers all of the sciences, as well as mathematics, health/medicine, social sciences and careers. The career information includes a series from the ACS Spellbound – How Kids Become Scientists. This video series tells the stories of chemist’s early experiences that put them on the role of working in science. There is also a special section from Science News that provides the latest news on what’s happening in the world of science.